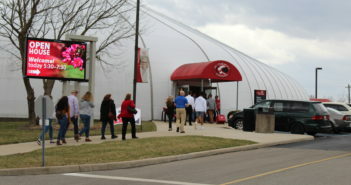 On April 27th, the Crossing Church in Batavia held the Commencement Celebration for UC Clermont College Graduates. This year, UC Clermont’s Full Time Faculty members helped to show their support to the 2018 Spring Graduates. In addition to this mass, many of the friends and family members of the graduates were in attendance to celebrate the students’ achievements at the commencement. The ceremony began with, as most commencements do, a processional where the faculty and soon-to-be alumni walked in and neatly organized themselves into their reserved rows of seats. Once the graduating students were seated, everyone stood for the national anthem which was performed by Kristin Nahirinak. 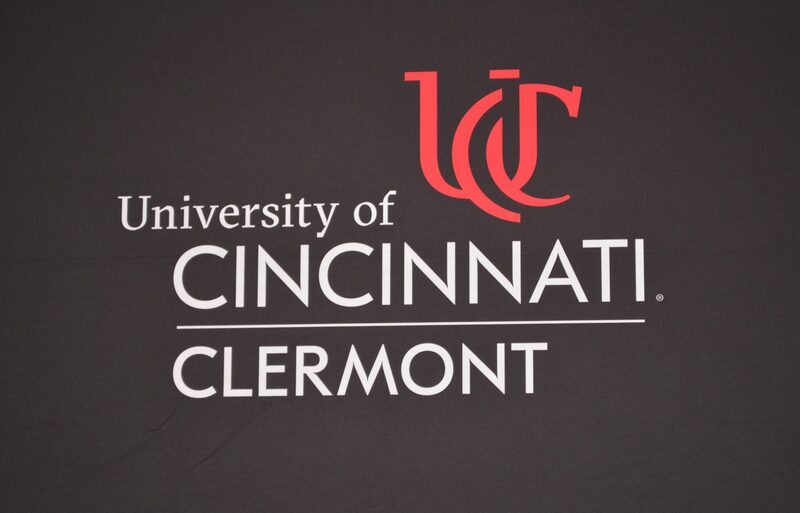 Following this, the Dean of UC Clermont, Jeffrey Bauer, gave a welcoming speech and presented various Dean’s Excellence Awards. Mona Sedrak, an associate dean on campus, then presented faculty recognition awards. The Keynote address was given by the Honorable Kevin T. Miles, a presiding and administrative judge of the Clermont County Municipal Court. 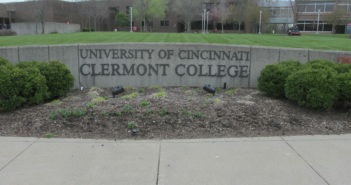 Afterwards, Outstanding Sophomore at UC Clermont, Somer Malott gave the address to the graduates, speaking of various overcome hardships, the importance of supporting friends, family and professors, and the possibilities of the future, encouraging them to go on in their lives with their heads held high. Dean Bauer then presented the Class of 2018. Each student graduating from various areas of studies including the Bachelor of Technology and Applied Studies, Associate of Arts, Associate of Applied Business, Associate of Applied Science, Associate of Science, and Associate of Technical Studies, graced the stage and shook the Dean’s hand while being handed their diplomas. Following the recessional, faculty, friends, family, and now-graduates, gathered in the parking lot to talk and laugh with one another. 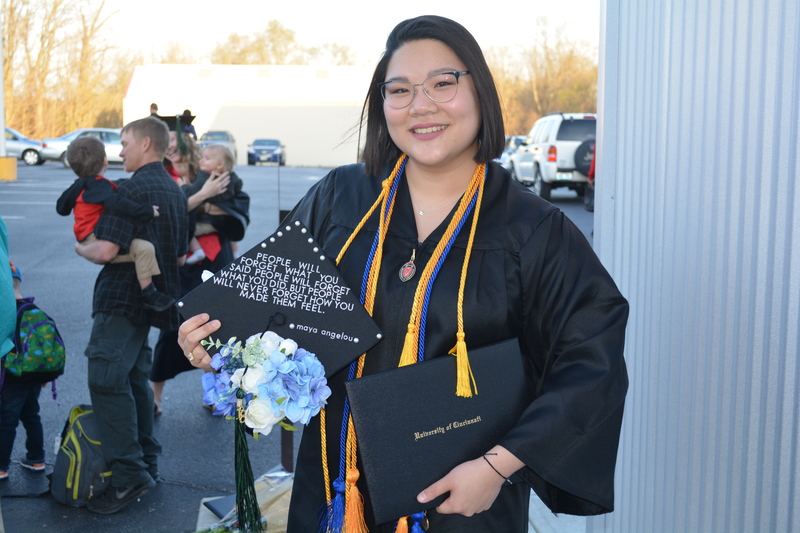 Many hands were shaken as graduates introduced their family to their professors and tears were shed during good-byes as friends parted ways in pursuit of education at other colleges. Although we will miss all of our graduates, we could not be prouder of their accomplishments nor happier about their success. Congratulations Graduates!